I’m not afraid to admit it—I used to be THAT teacher. 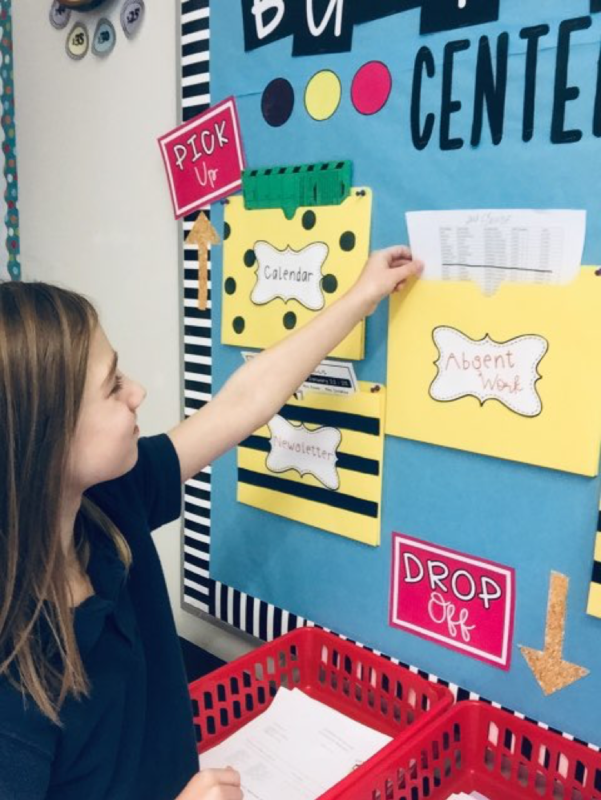 The one where when you walked into her classroom, your immediate thought was, “How does learning take place in this room?” or “how can she find anything she needs?” What I needed was some organization. 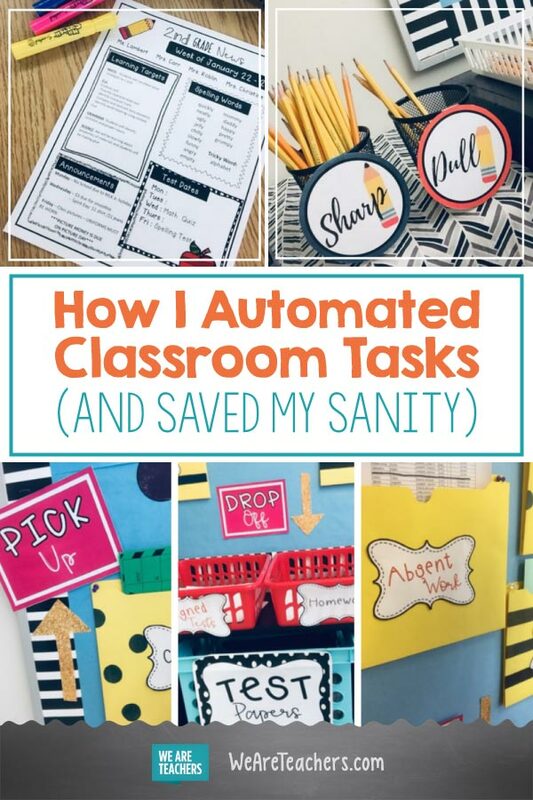 That’s when I got the idea of increasing classroom automation to make my life easier. Sounds kind of robotic or technical, right? Whatever you want to call it… it saved my sanity and my time. I knew I needed a system where I could work smarter, not harder. So, I created a Business Center and taught my students procedures on how to use the paper system. I implemented this system after Christmas break and I instantly saw great results. I can spend more of my precious time preparing for the day and teaching. Another huge benefit was seeing that students become more independent and self-sufficient. With this paper system, they are held accountable for having the materials they need and they understand that they are solely responsible for grabbing whatever is needed at the time. How can I set up my own business center and help increase classroom automation? First, decide how you’d like to set up your business center. Do you want file folders on your board for pick-ups and bins for drop-offs? Do you only want file folders or just bins? Next, check Office Depot, Wal-Mart, and Hobby Lobby for materials you’d like to use. You can also reuse materials you already have or borrow from a teacher friend. Next, set up your system. This is the fun part. 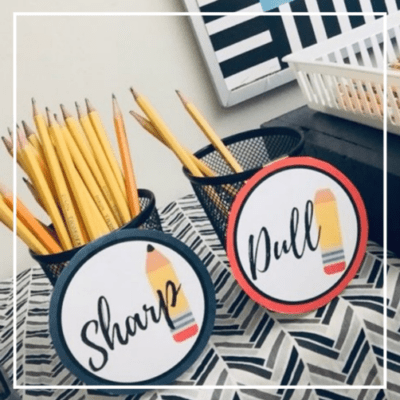 Decide which categories apply to your classroom and create labels. (I also have them for sale in my Teachers Pay Teachers store.) Our categories are editable. Once your system is set up, it’s time to set expectations for your students and teach them procedures! Leave nothing to chance. Start from the basics and model for your students how they can retrieve anything they need. For my class, the best time for students to use the business center is during homeroom. It is part of our morning routine for them to grab what they need and turn in whatever is necessary. I also place pencils next to the business center. I’ve tried many pencil systems over the years, but I find that having these sharp and dull pencil tags work most efficiently. 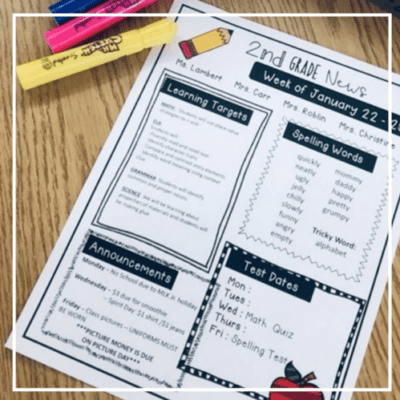 I also use this editable newsletter in my classroom for easy communication with parents. Our automated paper system is a work in progress at the moment. I already have a few more ideas on how to make this student-led system even better. 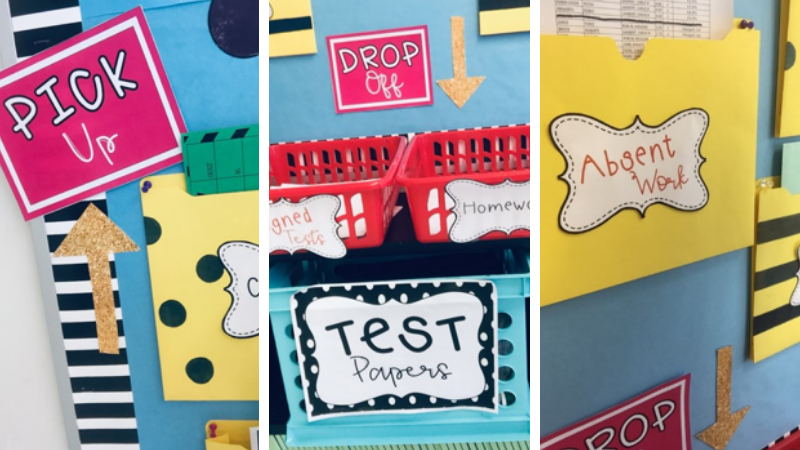 If you are still searching for more inspiration and ideas on paper organization and automated systems, check out this post by Mrs. Ps Specialties. Whatever system you choose, we hope you find what works for you and your students! We’d love to hear—what steps have you taken to increase classroom automation? Come and share in our WeAreTeachers HELPLINE group on Facebook. Plus, tasks that teachers should stop doing for their students. Carlie Lambert is an educator, TPT author, writer, and Montessori lover who genuinely believes that coffee is a teacher's best friend.